Melbourne City had a helping hand from the VAR as they cruised to a comfortable 2-0 home victory over Wellington Phoenix on Friday. 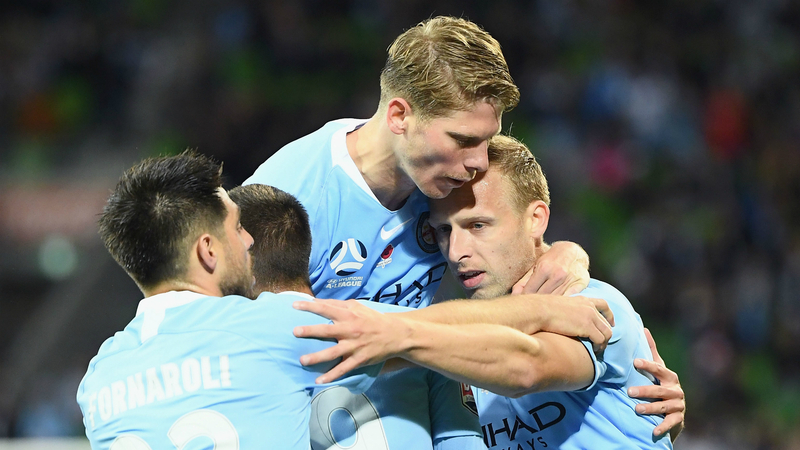 Ritchie De Laet and Bruno Fornaroli scored either side of half time to ensure Warren Joyce's side rebounded from their deflating 3-0 defeat to Sydney FC seven days earlier. Former Leicester City defender De Laet set the hosts on their way in the ninth minute, rifling home Lachlan Wales' cut-back for the second goal of his loan stint. City remained well in control throughout the remainder of the first half and extended their advantage in the 59th minute as Fornaroli opened his account for the season with a fine curling finish. There was some controversy to come with Wellington aggrieved not to have been awarded a penalty when midfielder Mandi's shot struck Scott Jamieson's arm inside the box. But the referee deemed the defender to have had his hand tucked into his body after consulting with technology, leaving Wellington with a second successive defeat.